Every budget there tends to be something that really gets your goat. It isn’t always the same thing for every person either, so today we’d like to hear about your thoughts on the budget and what aspects of it were the most ridiculous. Giving help to the ‘boom buyers’ is up there for me. This blanket give away doesn’t look at who actually needs help, instead it just assigns very scarce money to a large cohort without any consideration towards personal circumstances. There are many people who have big mortgages and they are making their payments every month and on time. The 100,000 mortgages in trouble are NOT all ‘boom time buyers’, and yet we are not moving additional resources towards them. Although the transfer is not implicit from one account to another – we nearly went so far as to reduce sustenance to the disabled while looking to give free money to people who may not need it! It’s like giving medicine to healthy people while letting sick people go without. I accept that this line of thinking coming from a mortgage broker may raise a few eyebrows, the trolls will no doubt have some fun either way, but we have always been believers in helping those who need it and letting those that don’t prosper on their own. VAT increases on fuel will now put prices here (petrol) at near parity with Northern Ireland prices – Anybody have thoughts on what effect that might have? Or what about the inherent ‘double-speak’ of saying ‘we won’t touch wages‘ when instead they’ll just make everything you buy more expensive, does that make any difference? One of the downsides is that we will now see ‘inflation’ where there shouldn’t be any, because instead of reducing wages we’ll make it look like prices are going up and in turn that feeds into the need to control inflation! We are looking for the fire and brimstone this week folks! It was a big budget with something for everybody (to be angry about), so tell us what you liked or dislike the most! 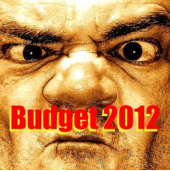 I am so angry, frustated, bitter and disappointed, I dont know where to start, but I do know this last miserable budget was too harsh and severe, too unfair and too soon, too soon after last years miserable budget and too soon for the future. This tiny little country cannot sustain the massive tax hikes and increases that our miserable yellow bellied self centred brianless government deem OK to inflict onto those who cam least afford it. What did that Kenny bloke say in his pre election propaganda speech? “not another single cent to the banks” “I will get Ireland working”. He was elected 2nd head of this country and we now in a worse mess than ever. I have always been of the opinion that for a country to grow and prosper, its the people that need to spend and support local business’s. With our spineless government people have less and less to spend. Not surprising why business’s are closing down! Can any one give just 1 good reason why EK needs 8 special advisors who are costing us in excess of €1M per annum and havnt a clue what they are doing? You capture my mood well. My own problem with the whole budget and this government (though not as bad as the previous government) is pandering to the negativity been propagated by most Journalist and attacking public sector and those who are investing, especially property investors who are financing these investments with their disposable income. Those in your position should be advocating on their behalf and not only for owner occupiers. We should all pull together and stop this them and us mentality. As Enda Kenny has said “the economic problem is not the fault of the ordinary citizen”. Those who caused it are untouchable. The Government should therefore stop attacking small investors and pensions in general. These groups are propping the government up in many ways. Those who don’t understand or refuse to understand should be me made to understand. It’s a terrible budget. I’m glad that some of you are slightly better off but there are so many of the poorest of this country who are worse off. Those who should be protected like the young, sick and vulnerable. It is a pre-French revolution style thinking and i can’t imagine what will happen. There appears to be no recourse for those who are at the bottom and this will effect everyone of us. The housing market is unlikely to recover in the near future unless changes are made. READ WHAT RONALD (9, above) AND MIKE (9) SAY, AND YOU HAVE IT ALL! @john I totally agree with the injustice of it – while at the same time being a supporter of local taxation. The ‘flat tax’ approach is the worst of all solutions. I am stunned re the capital gains tax exemption cannot believe trying to cause a mini bubble what about 7 years time ?? and bullying first time buyers to buy against cash investers . they are going to keep the first time buyers stuck in apartments .If they had said exempt on new apartments that would have help first time buyers trapped maybe. greedy goverment cant believe that the new treaty/ union will tolerate it. Is property the only way this goverment thinks can create an economy am appalled. Imposing property tax at a time of govt. assistance for troubled mortgage holders – sounds like redistributing the same money. It might have some benefit as an unemployment-alleviation scheme, as it will require assorted civil servants to design, implement and oversee this. But clearly it would be a net drain of money out of the real estate economy. Mr Deeter- You are making a living & establishing a public profile out of nay-saying and negativity. Jump on the band wagon- Do you think people in general really want to hear this rubbish re-hashed? There’s nothing new in this. @ Karl Deeter – The property tax isn’t about making people pay for the services they use, it is about raising revenue for central government. We already pay for waste collection, we already pay for our roads through motor tax and they are already planning to make us pay extra for our water through water charges. The property tax is about making us pay a second time for the same services(which incidentally are being scaled back), as these services are presently being paid for out of existing taxes. The new property tax is a great idea – I’m all in favour of people paying for services they use. Most people are, you wouldn’t walk into a shop and try to walk out without paying so why do we expect the same with provision of water or the like? You cannot tax your way out of a recession, those words came back to me while listing to the budget. Why do they need over paid advisors when they get it so wrong (taking money from disabled people).It will never change here the politician are only out for themselves. What I am most annoyed about in this budget is the lack of information provided for the new property tax. I live in a 1 bed apartment and don’t see why I should pay the same rate as someone who lives in a larger apartment/house. Also, who pays the property tax for rented accommodation? if the landlord pays it then rents are just going to increase and they are already high enough. At least they didn’t touch the pensions again, although I have no doubt they will hijack all the finds available if the sh*t really hits the fan down the road. It would be a good start if people just accepted that they have to take an assload of money out of the economy to pay the bills and stay afloat. We are FAR, FAR away from the old budget thing where the group who either whinged loudly enough or made contributions got looked after that. Having said that, reference the second point, the bald fact is that this is a NAMA-driven budget if it’s anything, and that just boils my p*ss. Anyway our bears of little brain in the Dail don’t have the cojones to make big decisions or offend each other, so we all suffer from a thousand cuts. I have to say our “Labour” friend who jumped ship after 6 weeks just displayed a me-feinism rather than a sinn-feinism that even if it happened in the good old Galway tent days would win stroke of the year, and is a prime example of the thing that has made us all puke about politicians that we hoped naively would go away for a while – some hope. I have to say also that the VAT rise is a good thing – in the context of needing the money. Everybody pays VAT, so if it has to happen it’s a bit more even than the usual “let’s ride private people with a pension this time” mentality that prevailed up to now. @Pablo – what about the people who bought a house and are unable to pay? Would you help them? Everywhere you turn there’s an opinion: the man-in-the-street, the banker, the politician, reporter, amateur economist, World-class Professors of Economics, you, me – ad infinitum. Looking back to the South Sea Bubble (1720) and up to Gordon Brown’s “No more boom and bust” (1997), isn’t obvious that no one is ever likely to know what the hell they’re talking about when it comes to global economics? Meteorologists can’t even predict the weather next week with any accuracy. When will people wake up to the fact that it’s a problem too complex to handle. Don’t get angry, get wise to being permanently ignorant! Yhe extra student charge of €250 per year does NOT go to the colleges! What made me mad was the “It’s not your Fault” line from Enda K – We earn reasonable salaries but don’t earn enough to cover the loss of €1000per month in extra taxes and reductions. On his salary he can afford extra taxes – we can’t. We now subsidise the banks twice: higher tax to pay bailout in addition to subsidising the tracker mortgages by a higher SVR rate. All SVR mortgages should be on a tracker rate for 3-5 years to try and give people a chance to clear debt and have some disposable income left. I don’t normally agree with you Karl, however I think you’re absolutely right about the clumsy blanket approach of mortgage interest relief for 04-08 buyers. You correctly point out not everyone who bought during this period is struggling and likewise not everyone struggling bought in this period either. A case by case means tested and regularly reviewed system would be more useful. I bought in 2010 so this budget felt like a slap in the face considering the enhanced relief offered to other 1st time buyers starting next year. “Buy 04-08 get extra relief, buy 2012 get extra relief, buy 09-11 you’re on your own!” seems to be the message from Noonan & Co. This budget is very bad for Ireland because ie will cost thousands of jobs and will also put a lot of workers on a3day week.this budget will is bad for Ireland . Doesn’t surprise me………..Dont say God never told you….. I purchased an apartment with my brother in 2006, we have been receiving 10% TRS and was delighted to hear this will be pushed up to 30%, in addition to last years budget where they increased the period of TRS to 2017. Also pleased to see that AIB is reducing their variable rate by 33 base points, exceed the amount of 25 anounced by the ECB during the week. Every little helps and with the efforts of the budget and ECB, hopefully mortgage holders who bought between 2004 and 2008 won’t be feeling the pinch as much. I can’t believe that I now have to pay for the stupid mistakes of the greedy and inapt who spent far too much on a house. They should be made to learn from their own mistake, not the rest of us. I have never been either so angry or affected by any budget so much as this one. I have been unemployed for over a year on job seekers benefit, and I have one 16 year old son who is registered with St. Michaels House as a boy with a moderate learning disability. I have been on the look out for work, that were predominantly job internships from FAS offering an extra €50 on top of my jobseekers benefit of €147.30 a week. I have also just made an application to the Department of Social Protection to be granted the disability allowance of €188 a week on behalf of my son. And to find that in the budget a proposed cut of €88 week to this payment. To find out also on the day Enda Kenny addresses the nation on TV to accept these cuts that he has granted a pay increase to an advisor of €35,000. Most people who are unemployed would consider this to be good salary to get a year.